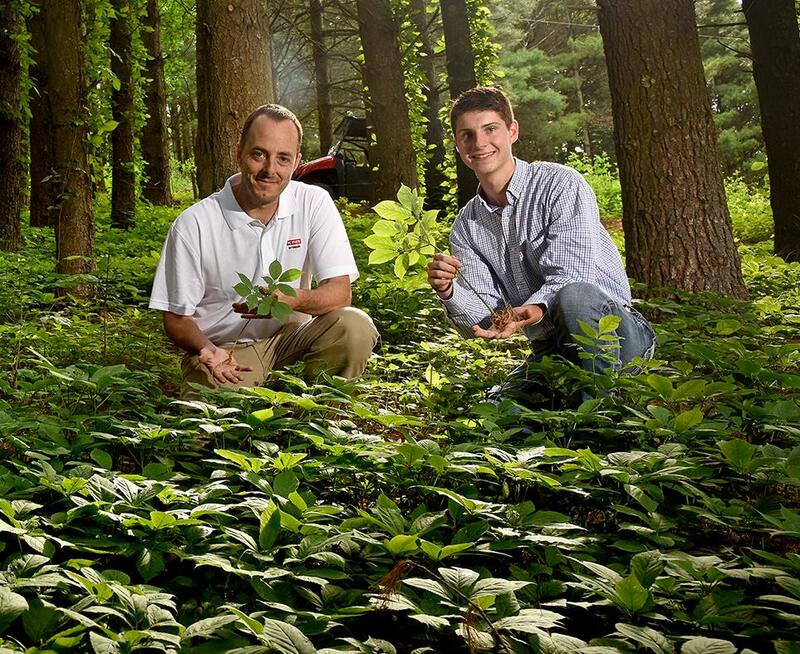 Updated: Ginseng Workshop at the N.C. Cooperative Extension, Watauga County Center in October (September dates are full!). If you own mature forestland (or a nice wooded backyard) with good soil and drainage, ginseng may be a viable way to add value to your underutilized woods. Ginseng is a tricky plant to grow successfully and takes between 7-10 years to reach a size favored by the Asian markets to which it is exported. The market for ginseng has averaged over $750 per dried pound over the last few years. Wed, October 10, 2018, from 5 – 7 p.m.
To register, call or email the N.C. Cooperative Extension, Watauga County Center or contact Dr. Jim Hamilton at 264-3061 or jim_hamilton@ncsu.edu. Space is limited. Cost to attend the workshop is $75. Participants will receive a starter kit of 1/4 pound of stratified ginseng seed. Please call or come by the N.C. Cooperative Extension, Watauga County Center to register for workshop sessions. Checks may be made out to Watauga County CES. Additional seed is available upon request.